Go on a green beach holiday to Coron! Twin Lagoons. Photo by Al Linsangan III. Limestone landscapes – the steep and protruding karst cliffs and spires at the Ancestral Domain of the Tagbanua indigenous tribe. Islands and Beaches – pristine, uninhabited white sand beaches and dozens of islands. From reefs to wrecks – Busuanga Island and its bays offer a very peculiar combination of relatively rich coral reefs (notably in Siete Pecados, Bintuan-Sangat, etc) and the famous 12 Japanese World War II shipwrecks. Wildlife sanctuary areas – The Calauit Game Reserve and Wildlife Refuge is a major tourist destination for wildlife interaction, as well as routes and trails along the way. 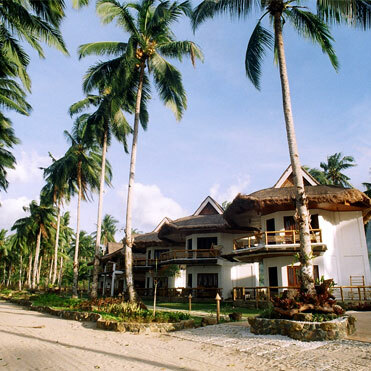 Bird watching trails offers good forest cover, such as the beach forest in Barangay Old Busuanga and the rich mangroves in Bugtong, Sagrada, and Concepcion. 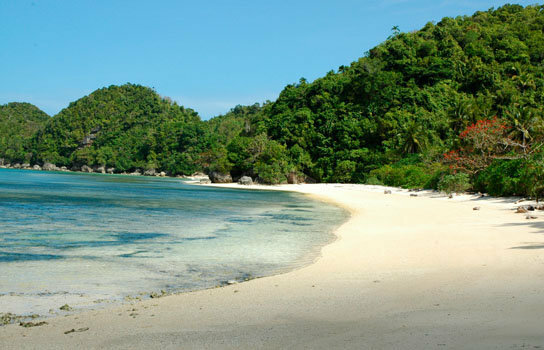 Islands Expedition – swim and snorkel at select pristine islands and beaches: Malcapuya, Banana & Bulog Islands. 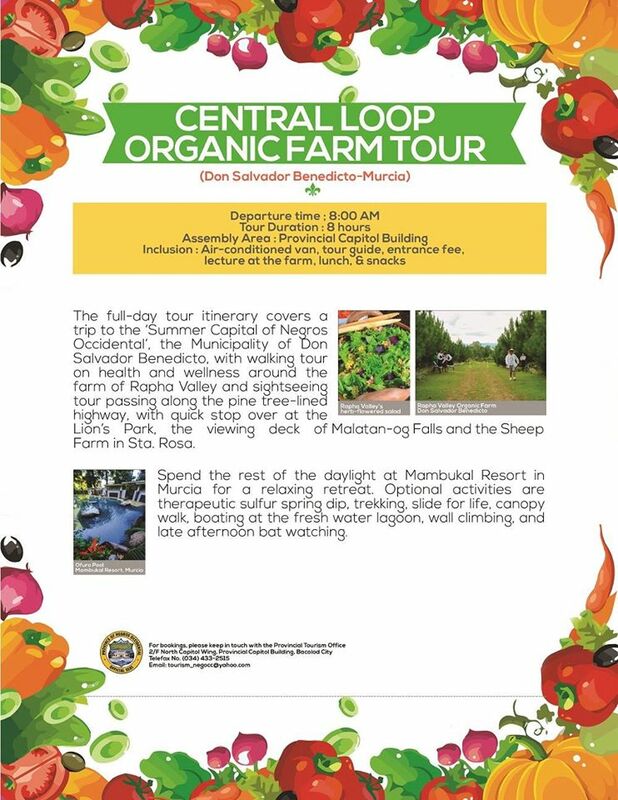 Wildlife Safari – go on a tropical wildlife adventure : Calauit Wildlife Park, Concepcion Falls & Bintuan Mangrove Walk. Reefs and Wrecks – set off to a green diving and snorkeling expedition: Lusong Ship wreck, Coral gardens, Calumbuyan Island & Sangat gunboat. Nature Park Hiking & Kayaking – all aboard to Kingfisher Park for nature hiking & kayaking: nature trail, picnic lunch by the river and kayaking by the mangroves. Ideal for birdwatchers too! 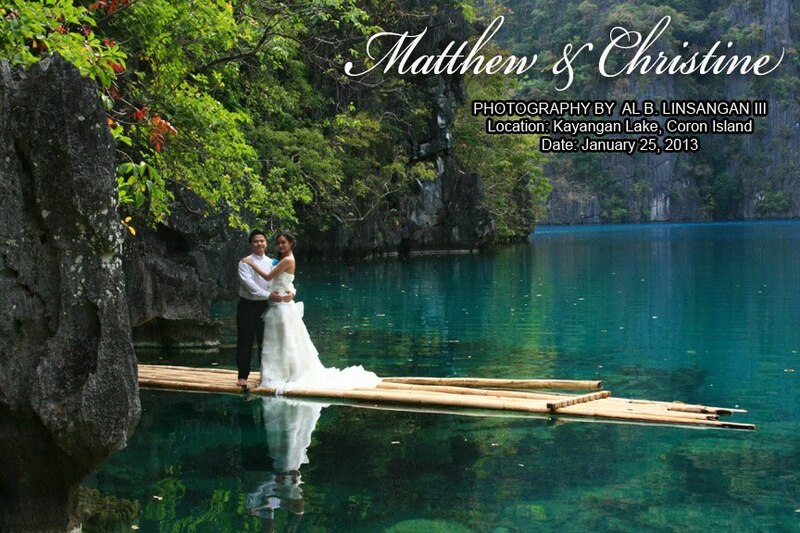 Kayangan Lake Wedding & Coron Honeymoon. In order to make the most of your visit and trip, you deserve to stay at least 4 Days & 3 Nights, no less! Suggested Itinerary: 4 Days & 3 Nights minimum. For more information and reservations send us a message. Love the green? 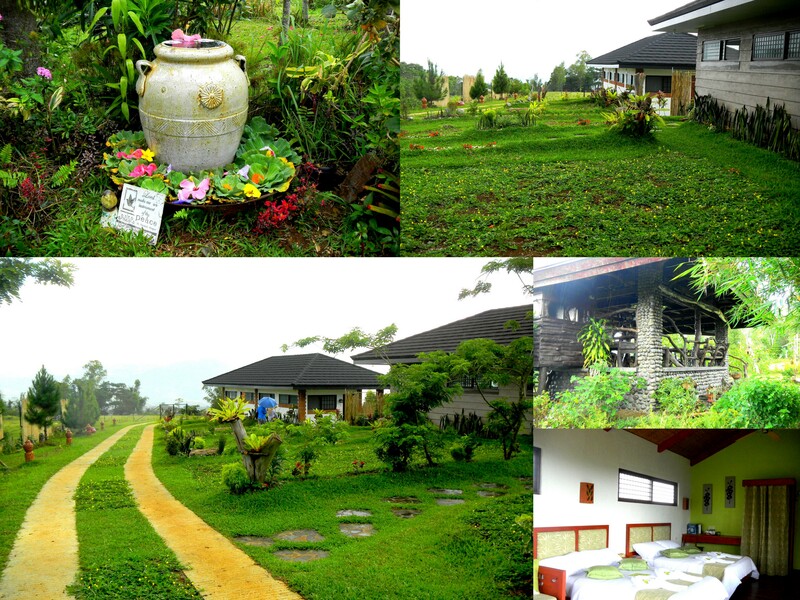 Travel green in Negros Occidental! 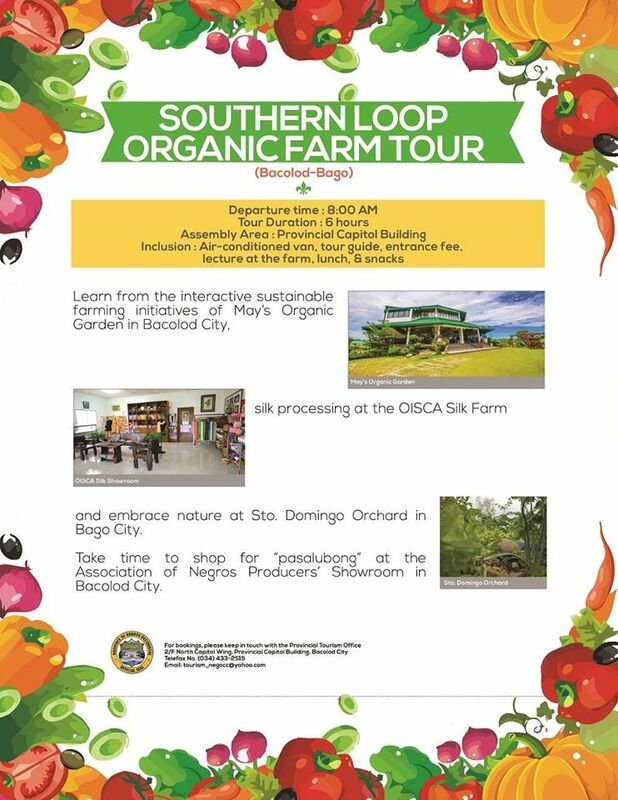 Countryside, Crafts & Culinary delights Travel green to Bacolod City, Negros Occidental, the Philippine’s foremost sustainable agri-tourism and organic farm capital. 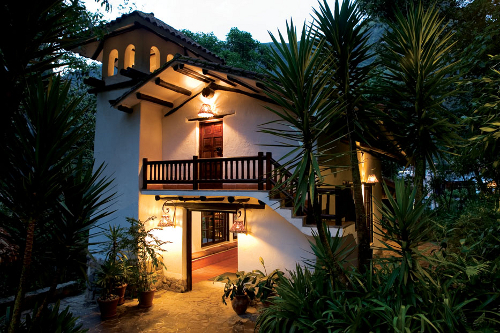 Step back in time to the countryside, re-living turn of the century old towns and haciendas, feeling a sense of green and tranquility as you traverse along undulating sugarcane fields. Take an eco-trip to a rainforest and marine reserve, learn the importance of coastal biodiversity conservation to combat climate change and savor exquisite Negrense cuisine from freshest exotic seafood to healthy options of organic farms and produce. Enjoy culinary delights from traditional home style cooking to East-West fusion, with a wide array of seafood, organic and healthy options. Buy local, support local – world-class handicrafts, from exclusive factory visits, to community and producers’ shops, souvenirs showroom. Buy local, support local. 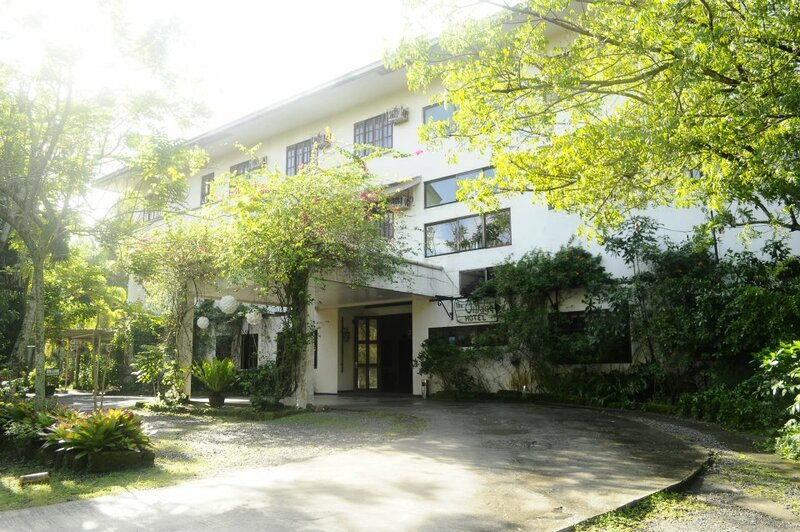 Eco-friendly, world-class arts and craft abound in Bacolod City! 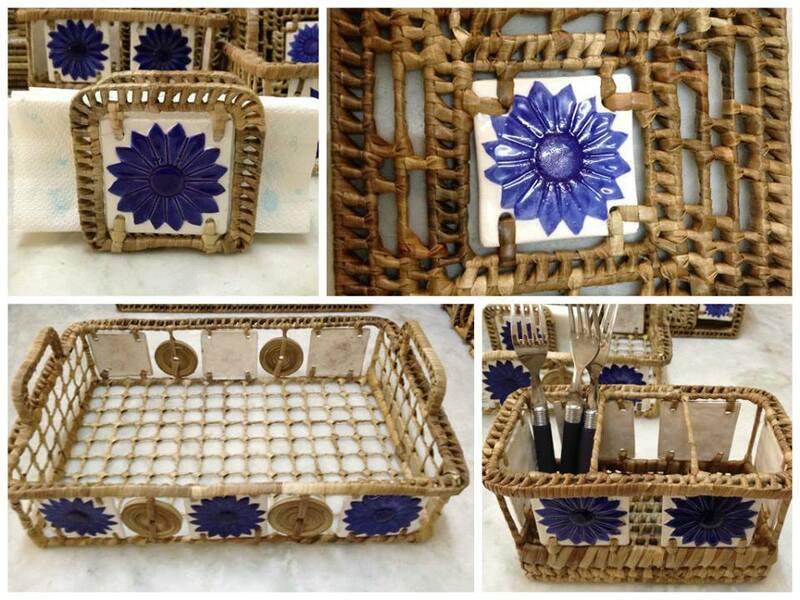 Photo via Handmade Gallery. 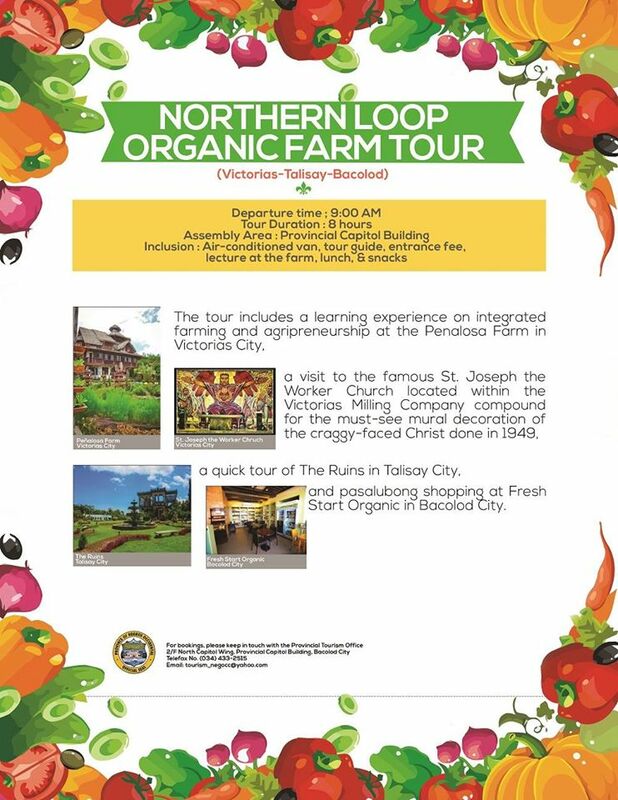 Organic Farms & Sustainable Agri Tours: North, Central & Southern loops. 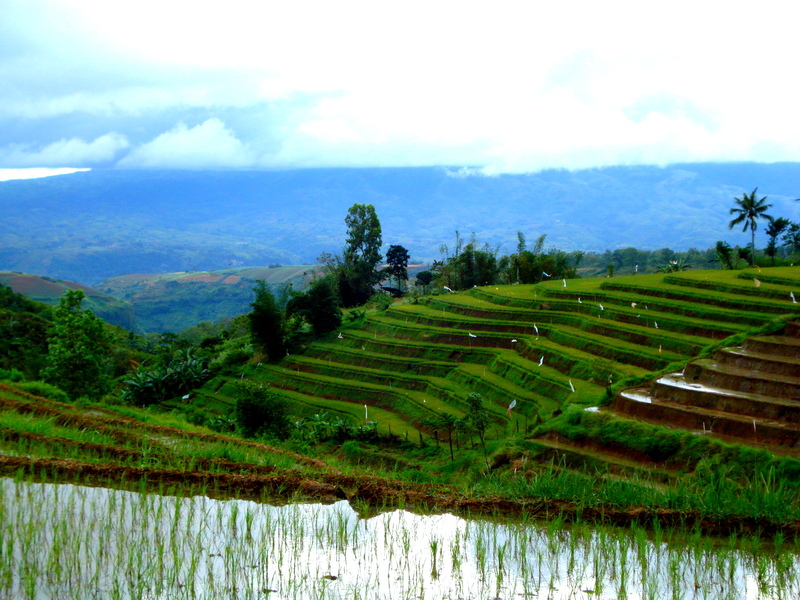 DSB’s Rice Terraces. Enjoy it while it’s clean and green! To make the most of your visit and trip, stay no less than 4 days/3 nights, otherwise, before you know it, you’ll be planning your next vacay again! For more information and reservations, please send us a message. It was in 1974 when Gerry Ledesma, first visited Danjugan Island with some of his diving mates. Its thick limestone forests hosted many different kinds of birds and bats; its underwater was so clear with schools of fish and magnificent, intact coral reefs. Scuba diving became popular and most divers then were spear fishers—and at the end of each dive day, tall stories were told about the sharks seen —there were tigers in the outer reefs surrounding the island and white/black tipped in the nearby reefs– and the big fish that got away. The early 1980s saw the decline of scuba diving due to the economic crisis brought upon by the government’s mismanagement of the sugar industry that most of the divers in Negros depended on. 1984 was a bad year too for Danjugan Island as Maricalum Mining Corp (MMC) stopped operations and its displaced workers started destructive fishing with blasting caps and cyanide from MMC. 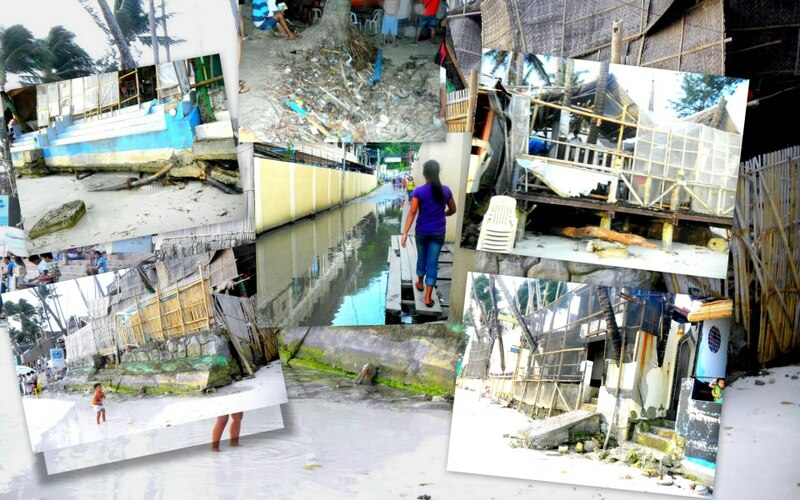 The year also brought Typhoon Nitang that destroyed the shallow reefs of the island as well as in the entire foreshore of municipalities of Cauayan, Sipalay, and Hinobaan. The years of early to mid 90s emphasized the need for Danjugan’s conservation with episodes of logging and poaching and this finally provoked the offer to buy the island but Gerry didn’t have money. 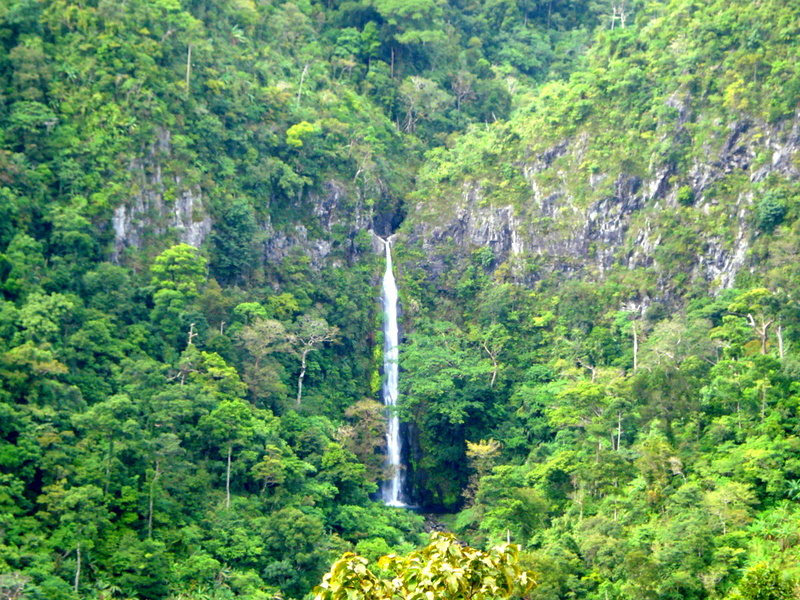 William Oliver, a British zoologist working on Negros endangered wildlife species, suggested contacting John Burton of the World Land Trust (WLT) whose thrust is the purchase of important biodiversity sites for conservation. Soon, a noted marine scientist from the UK, Sue Wells, came to visit and not long after, Peter Raines of Coral Cay Conservation (CCC). Then, an invitation to England for the launch of the Philippine Reef and Rainforest Project (PRRP) and within a month, a fund was transferred to PRRP for the down payment of Danjugan Island. The Philippine Reef and Rainforest Conservation Foundation, Inc. (PRRCFI) was established to manage and operate the PRRP, as well as the conservation program based on Danjugan Island that was expanded to include Southern Negros Occidental. Due to the ignorance of marine and wildlife conservation, the group piloted the 1st Youth Marine Camp in 1991 with their children and children of friends and relatives. The camp had pleasing results and children from the village of Bulata were included in the subsequent camps. 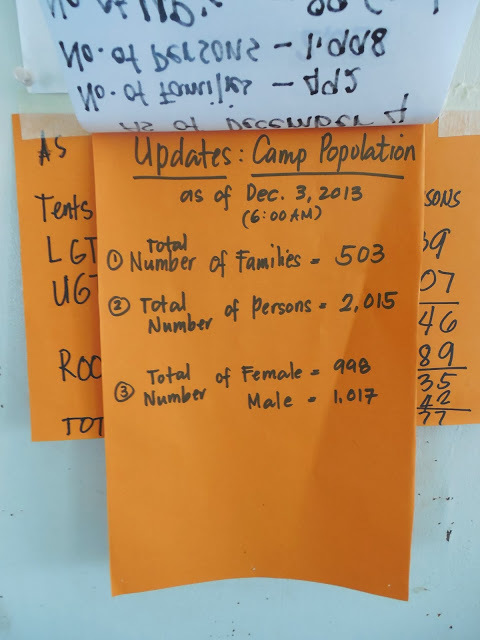 Presently, the camps are conducted each summer as the Youth Marine and Wildlife Camp and with the Philippine Department of Education as the Danjugan Environment Education Project (DEEP). Resting 3 kilometers southwest off the coast of Negros Occidental, Danjugan is a lush, 43-hectare island rich in marine and terrestrial biodiversity. This island, about 1.5 kilometers long and 0.5 kilometers at its widest point, has 5 lagoons and is covered with limestone forests providing asylum to many wildlife species that struggle to exist in the mainland. Together with Sipalay City and the Municipality of Hinobaan, it forms the southern border of the province and is situated in the Sulu Sea, an important eco-region for marine biodiversity. The island’s surrounding reef is under the Danjugan Island Marine Reserve and Sanctuaries with three Special Management Areas or No Take Zones established in 2000 through Cauayan Municipal Ordinance 99-52. Danjugan Island protects three major! marine ecosystems: sea grass, coral reefs and mangroves! Photo via Danjugan Facebook Page. It holds an incredible biodiversity given its small size. At least 72 bird species have been recorded on the island, including a nesting pair of White- breasted Sea Eagles Heliatus leucogaster that have been breeding atop Typhoon Beach Camp since 1974 and Tabon scrub fowls Megapodius cumingi which are common around the island. Danjugan Island “DEEP Camp”. Photo via Danjugan Facebook Page. 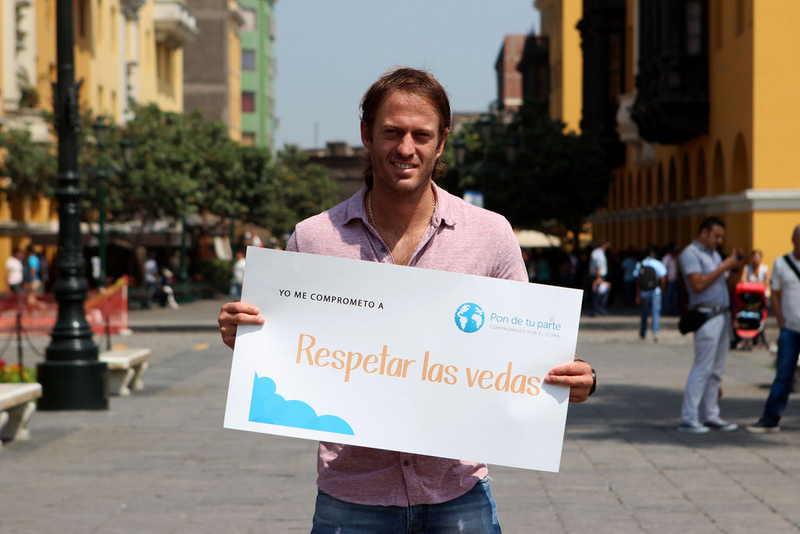 Increasing environmental awareness in the youth has been one of the major priorities of PRRCFI. 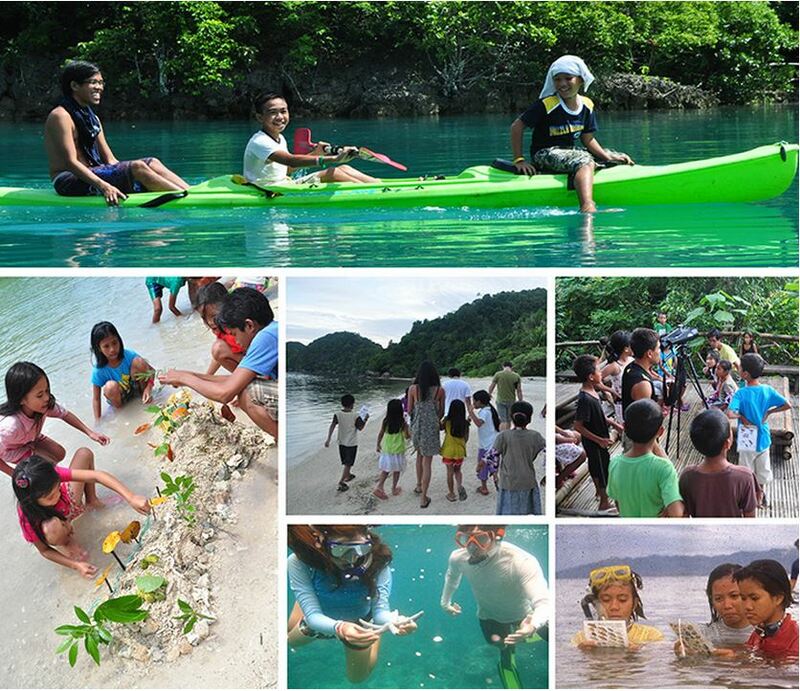 The Danjugan Island Environmental Education Program (DEEP), funded by the Foundation of the Philippine Environment (FPE), endeavors to teach Biodiversity Conservation, Sustainable Development, Climate Change Issues and Values to teachers and elementary/highschool students of Cauayan, Sipalay and Hinobaan municipalities in Southern Negros. These are where the last remaining good coral reefs in Negros Occidental remain. DEEP attempts to inspire to teach students to be stewards of the environment. The DEEP was implemented starting June 2011. 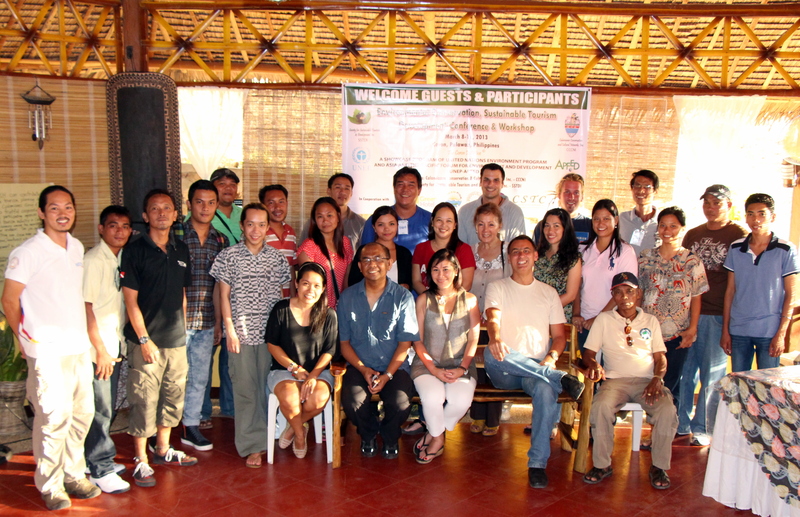 In the two years that it was executed, it aimed to address the shortcomings of environment education by delivering modules on biodiversity, marine and terrestrial wildlife awareness, climate change adaptation and mitigation, sustainability, and principles of responsible ecological stewardship to select public school teachers, students, barangay councils, and LGUs. 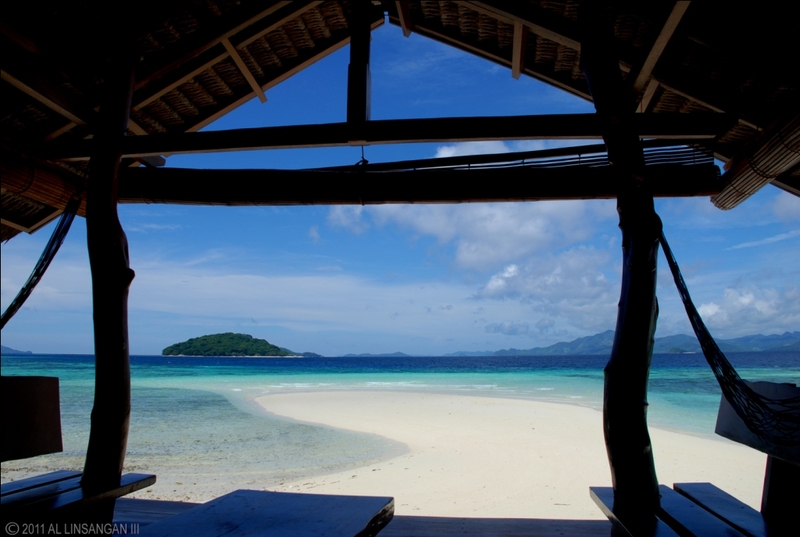 Danjugan Island is now open on a limited capacity basis for visitors, to experience ecotourism at its purest: learn about the biodiversity within the area, its conservation efforts, eco-friendly facilities to include eco cabanas, solar powered electricity, communal served meals based on native cuisine and seasonally-available local produce and services offered by the locals within. Make a difference and travel green to Danjugan! You may also support its programs in environmental conservation and education when you visit. 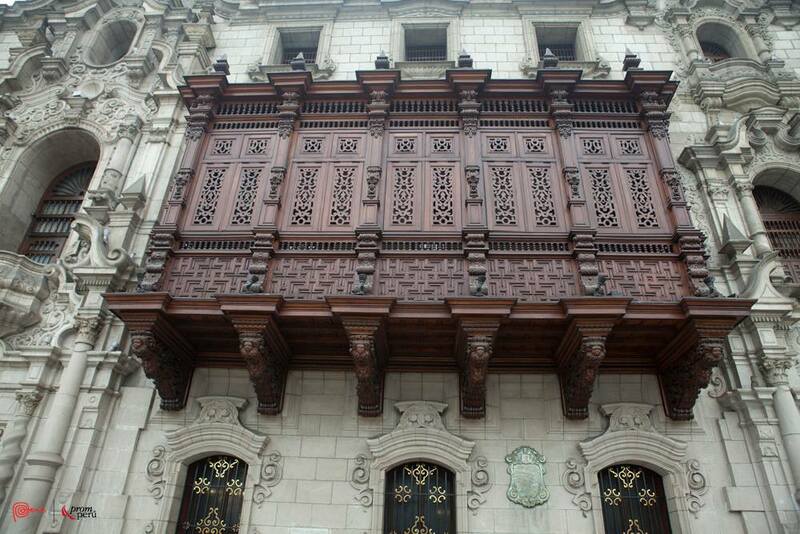 For more information and and travel assistance about our Green Travel Exchange, contact us. The Danjugan Island is part of our Society for Sustainable Tourism & Development Inc.-SSTDI – Negros Occidental initiative, the sustainable tourism development & stewardship program for the province. Bird Watching Training for Community Guides, a post TCI- CB Series activity co-organized by Society of Sustainable Tourism & Development Inc. – SSTDI. 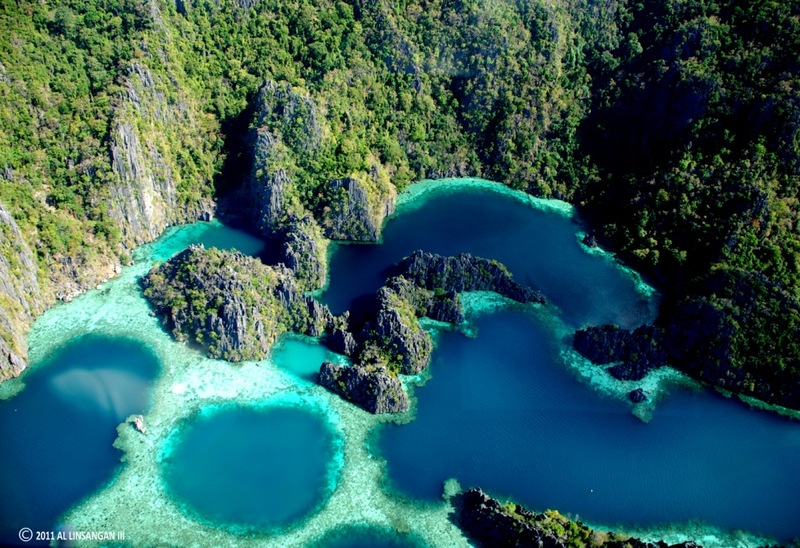 Birding must be promoted as an ecotourism activity in Coron. There is a growing trend among bird tour operators to practice sustainable and socially responsible ecotourism, while relying on local goods and services or supporting local conservation projects. Due to their accessibility and ubiquity, birds are a useful tool for environmental education and awareness on environmental issues. Birds easily transmit values on respect to nature and the fragility of ecosystems. Bird watching is a hobby for enthusiasts, but it can be packaged targeting nature travelers in general who are into it as an alternative activity, since not all tourists may be fond of snorkeling/diving; or they may be both. Bird watching can be an added value to spend one more day in Coron or some tourists may have an extra day, either for rest or for on any other possible activity for them. Bird watching may be introduced as it is a little challenging to see and detect birds in their natural habitat. However, once seen, tourists may be enthralled to witness the other wonders of nature. Blue-Tailed Bee-Eater, Tulbuan Coron, Palawan. Photo by AL3Photography/CoronGaleri. A local group in Coron, called the The Wild Bird Society of Coron (or Birdwatch Coron for short),seeks to identify current and potential hobbyists in promoting the activity. Adequate information campaign must however be conducted in collaboration with other bird watching and conservation groups as to the proper way of conducting the activity. There is a move to declare by legislation, the Blue-headed Racquet-tail (an endemic parrot species), also locally known as “Kilit” to be a flagship species for Coron. Lesser Coucal at Sitio Banga, Coron Palawan. Photo by Al3Photography. After Mr. Fernandez’s presentation, Mr. Alex Marcaida, from Palawan Sustainable Development Council (PSDC) the Workshop Facilitator had additional comments that bird watching is indeed an alternative activity to decrease pressure of tourist influx in water activities, or on a bigger scale, a tour package can be developed using the ridges to reef approach, wherein appreciation of nature may be on land and on water. He also lauded the movement of the Coron Birdwatching Society for the adoption and declaration of “Kilit” by the Sangguniang Bayan (Municipal Council) of Coron as its flagship species along with the underlying protection of the species and its habitat. Such movement may be adopted by other Palawan municipalities and incorporated into the Palawan Provincial Tourism Development Plan targeted for enactment on 2016. It is also beneficial that bird enthusiasts upload their photographs of birds online as a feedback system for identification and added information on its behavior, habitat, ecological/economic value and conservation measures. 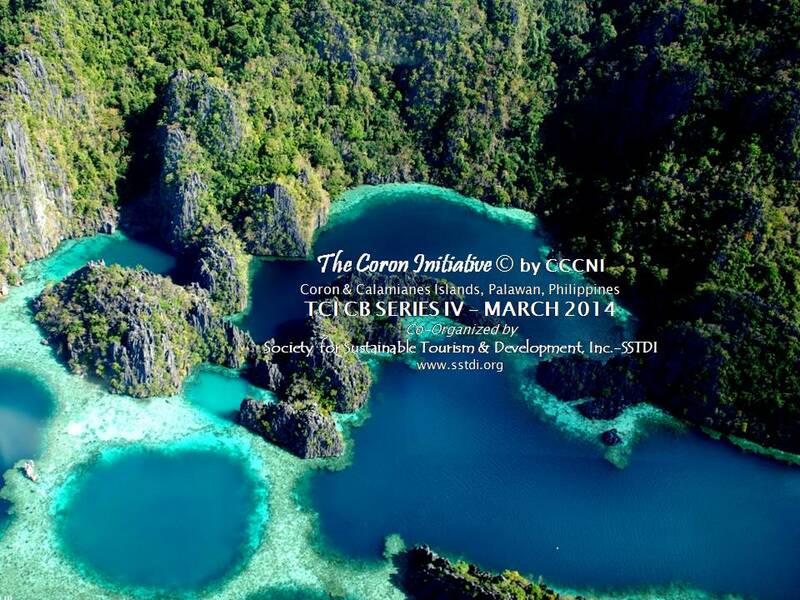 Coron Photo Expedition, Birding & Nature Adventure by Coron Galeri. Photo by Al3Photography. For more information and travel assistance about our Birdwatching in Coron, visit our Green Travel Exchange and for your Green Hotels stay , send us a message. 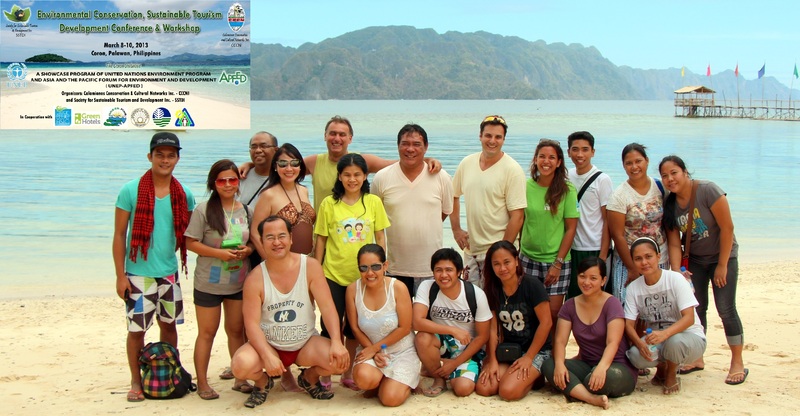 Join our Society of Sustainable Tourism & Development Inc. SSTDI- advocating green, eco-friendly and responsible travel. Promote your eco destination, hotel, resort, lodging, restaurant, festival, event venue or hospitality services, spa or sports, transport, real estate development or any tourism-related enterprise espousing green or sustainable practices. Foreword. 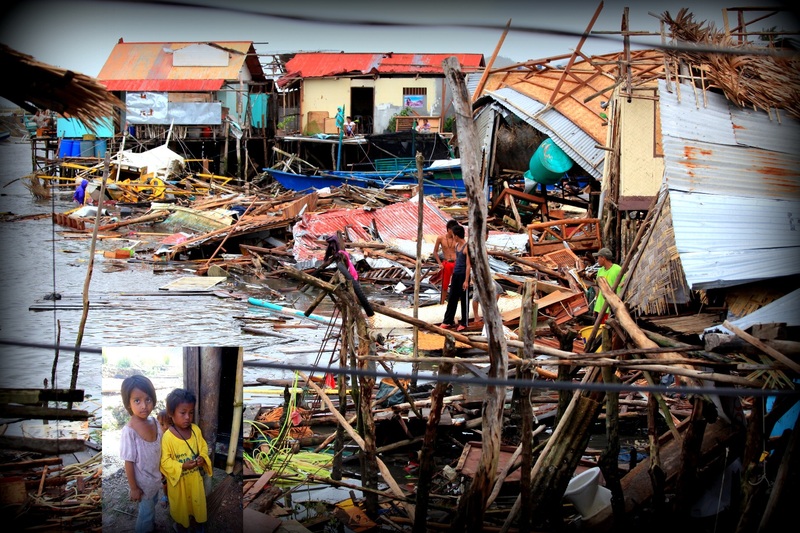 With the Super Typhoon Haiyan/Yolanda that devastated the Visayas coastal regions in 2013, cities and towns’ local government units including the national government itself were caught unprepared for the “storm surge and powerful winds which unroofed buildings and demolished houses; humans and animals drowned or flew to their deaths. The Philippine government has appointed a “Rehabilitation Czar”, former senator Panfilo “Ping” Lacson, who himself admits, it will be a tough job, but doable. We especially share and dedicate this blog to all who are working on the reconstruction, restoration and rehabilitation of the communities, towns and cities destroyed by probably the planet’s worst weather catastrophe. The message is “building back safer” – with sustainable building principles during reconstruction not only to improve resilience to natural hazards in the future, but also to ensure that the opportunity is seized to shift towards buildings and structures that are as energy efficient, low greenhouse gas emitting and climate-mitigating as possible. 1. Learn from experiences, which dealt with effective and efficient reconstruction, and from traditional building technologies which survived disasters. 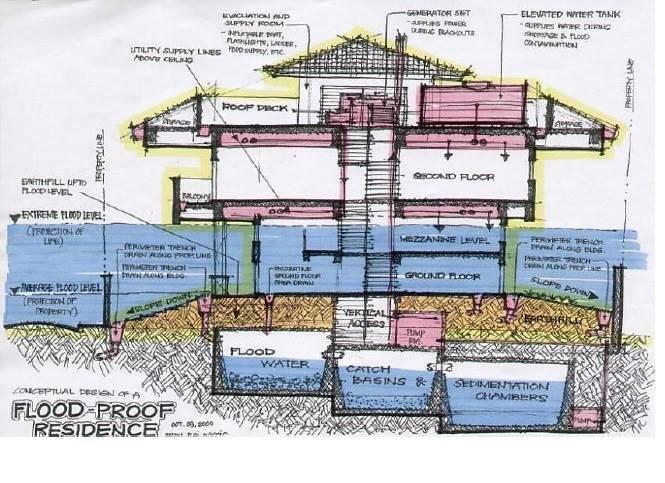 Many mistakes can be avoided by observing and finding out what concepts and, in particular, what construction practices, functioned well before a natural disaster occurred. Traditional knowledge and building practices have often evolved over long periods of trial and error, and are often both practical and resource efficient. 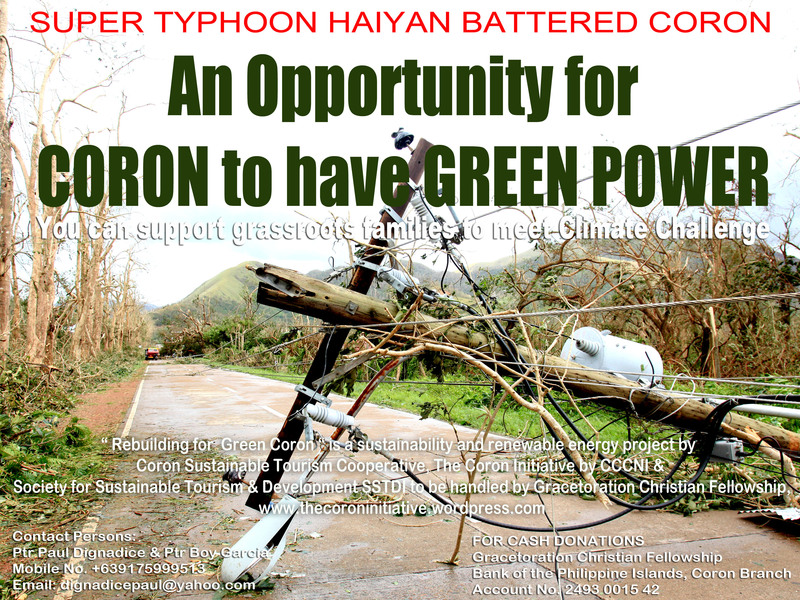 Green Reconstructio & Energy for Coron & the Visayas Haiyan/Yolanda devastated areas. A well-functioning management process is the backbone for the success of any reconstruction project. Contracts, roles and responsibilities should be clarified as early as possible. The active participation of local stakeholders in crucial decisions throughout the project process fosters a strong sense of ownership and acceptance for the project, and helps to facilitate care and maintenance of buildings following construction. This is especially true if the users are also the owners of the houses; rented-out dwellings tend to deteriorate more quickly than do owner-occupied homes. 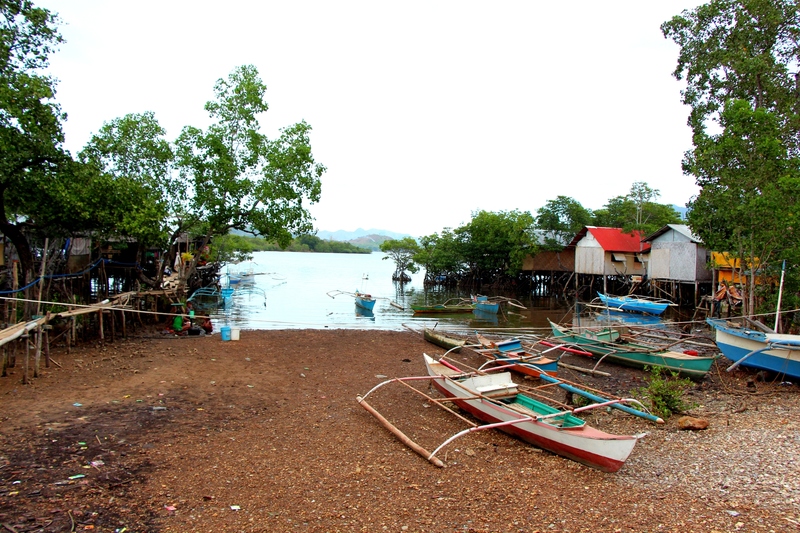 Climate vulnerable La Jala Community in Coron, Palawan, where informal settlers enroached mangrove areas that are buffer zones for typhoons and storm surges. Who are to blame if they are the first to suffer climate change effects? Relevant stakeholders – future house users, community leaders, responsible public authorities, service providers, etc. – can deliver important information and provide support that may be crucial to the project’ success and sustainability. Ideally, relevant stakeholders should be consulted during the early project-definition phase, as well as during planning and implementation phases. This can be done through a stakeholders‟ workshop”, during which invited stakeholders set project criteria and develop ideas. At this stage, the responsible local governmental reconstruction agency can also be consulted in order to ensure their support. – Building on and optimizing local construction technologies. 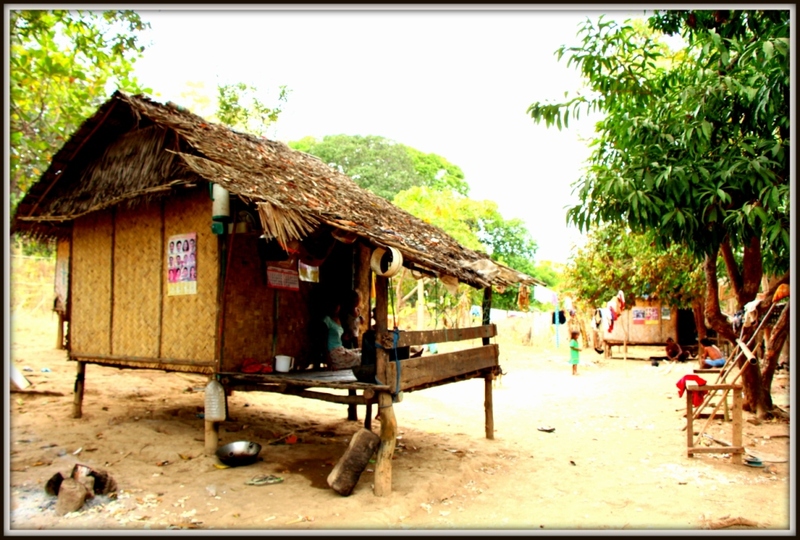 A typical native hut of the Tagbanua tribe of Coron, Palawan, Philippines. Eco friendly? Yes. Climate resilient? Not really. Thankfully, they are built away from the shores. Anchoring reconstruction projects in the local context can contribute measurably to community buy-in and a project’s success and sustainability. 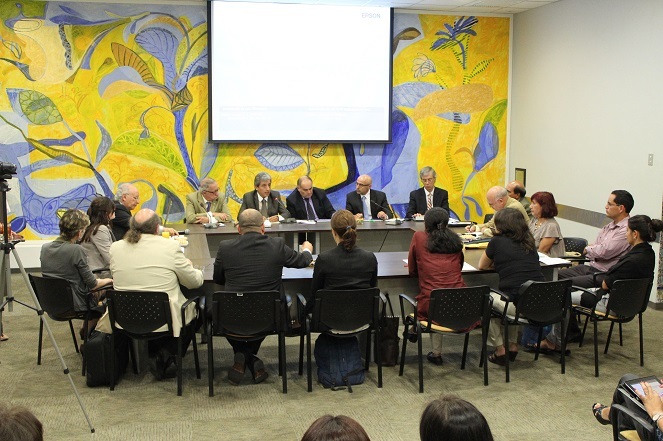 Local institutions and organizations included in the project process are strengthened and improved. 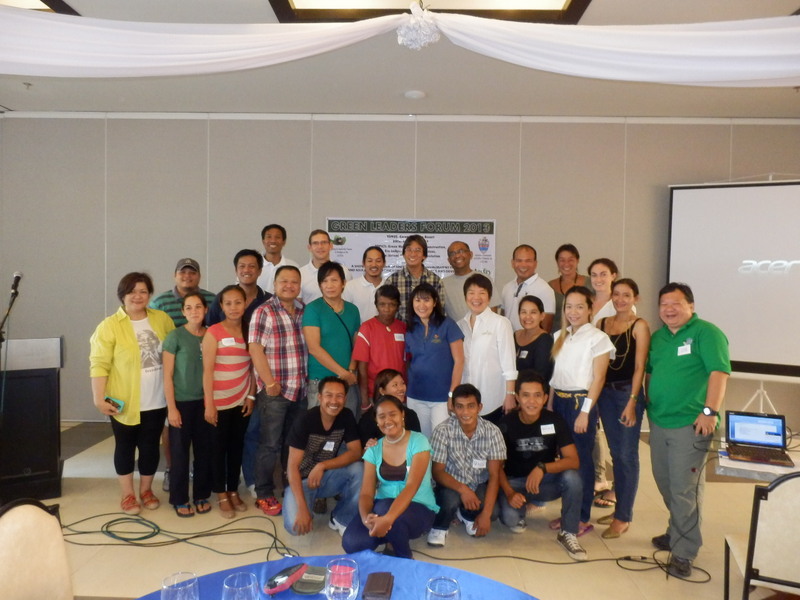 Community consultation and education by the Palawan Council for Sustainable Development. Responsible local authorities should coordinate all ongoing and planned reconstruction activities, at least at community level. In addition, however, project officials should contact other development organizations (international and national) to determine jointly the geographical and social distribution of reconstruction schemes based on local needs. Identifying and monitoring the reconstruction activities of other donor organizations and ensuring your project is complementing, not duplicating, other efforts can save financial and other resources. Normally, there are reasonable opportunities to economize on costs of access roads, water and sanitation systems and other infrastructure. Donor coordination can also help to ensure the equitable distribution of reconstruction benefits to communities, especially to areas that are less politically popular. 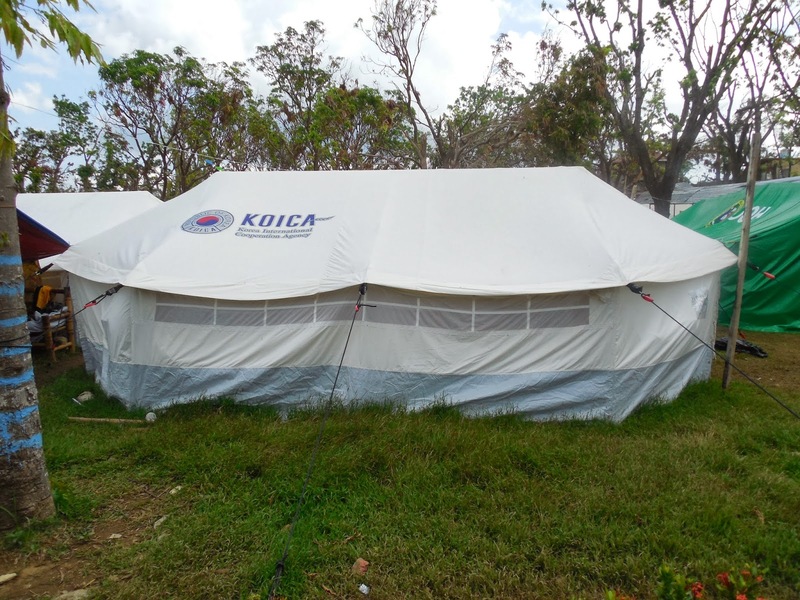 Korean donated tents in Estancia, super typhoone devastated town in Northern Iloilo. It is also important to ensure regular reporting and documentation of positive and negative experiences. This is important not only for any necessary handing-over to future project managers, but also for the sharing of lessons learnt at international and local level. Coordination & information dissemination post disaster in Estancia, Iloilo. Developing a strategy for how to overcome any potential risks to the project is essential. Risk strategies safeguard the project’s continuation, completion and, ultimately, its sustainability. Strategies should be developed with relevant local stakeholders. The strategies should define how potential obstacles – whether political, economic, security-related or from subsequent disasters – should be tackled. Regular self-monitoring and evaluation is critical for measuring the progress of reconstruction projects. M&E can be carried out in a rather simple fashion by selecting key indicators (amounts of money spent on different activities, amounts of materials used and timeliness of completion of activities) and then collecting measurements and summarizing them on a regular basis (weekly or fortnightly). If any indicator shows a deviation from the budget or from construction plans, then the cause for the deviation should be identified, so that remedial measures can be taken. In addition, an external evaluation can assist by providing a second and independent assignment on crucial issues. M&E can be complemented with “impact monitoring”, which is used to assess the environmental and social impacts of project activities. Impact monitoring provides valuable information about whether the project is in conformance with best sustainability practices (and if not, how it can be improved). Impact monitoring is also very useful for building the project partners‟ credibility with the local community, national authorities and international donors. 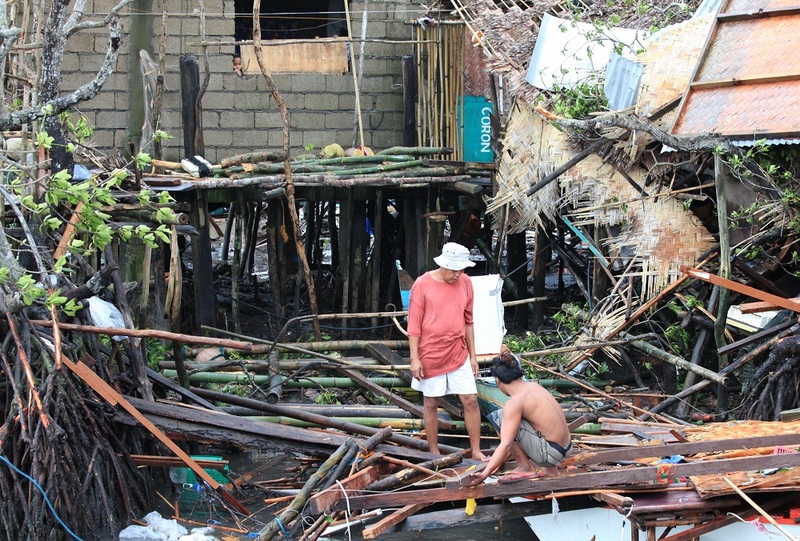 Devastated houses of informal settlers along the mangrove area, Coron Bay, Palawan. Learn the lesson: no one should be allowed to build any structure within the buffer zone for storms and typhoons. Selecting temporary or permanent shelter options has a huge influence on the house design as well as the project’s implementation procedures, budget and time-frame. It is important to decide early in planning for how long the houses should last. Reconstruction programs that are seeking to produce quality results require time for realization. While housing projects are being developed, displaced residents need adequate temporary shelters that ensure humane living conditions and enable residents to re-establish life as quickly as possible. Program budgets should anticipate this need. 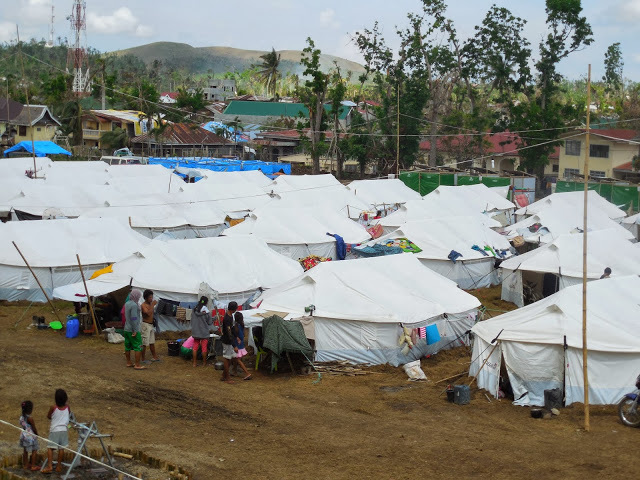 Temporary tent shelters for homeless victims of Super Typhoon Haiyan/Yolanda in Estancia, Iloilo. 11. Consider reusing and recycling temporary housing components for permanent houses to be built in the future components such as well-maintained sanitary and kitchen facilities can be reused in new reconstructed houses; good-quality materials such as steel beams can be reused also. Most organizations involved in reconstruction activities have internal guidelines and standards for their activities, including environmental policies. Ensuring that your organization development goals, procedures and priorities are integrated into your project from the start can help to align projects with sustainable reconstruction objectives and avoid unnecessary costs. Buildings should be designed to be thermally comfortable in their climate zone with no or minimal need for mechanical heating, cooling or ventilation. Buildings should also be designed to enable occupants to modify or “tune” their buildings to suit their particular functional requirements. Adaptable design enables this by, for example, promoting strong structural design with flexible interior space-planning. 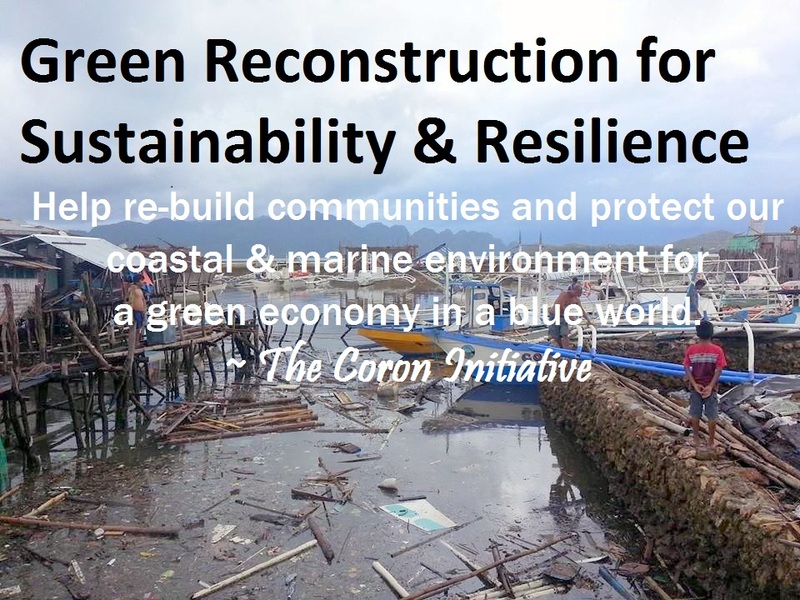 Super Typhoon Haiyan devastated Coron. An opportunity to switch to Renewable Energy. 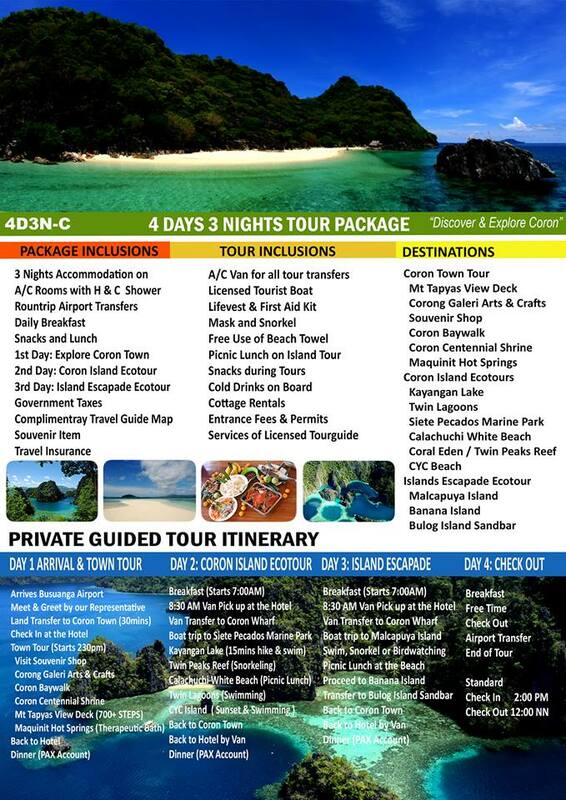 PHOTO CREDITS: Coron photos – Al Linsangan III- Calamianes Expeditions; Estancia photos – Pj Aranador Blogspot. Foreword. 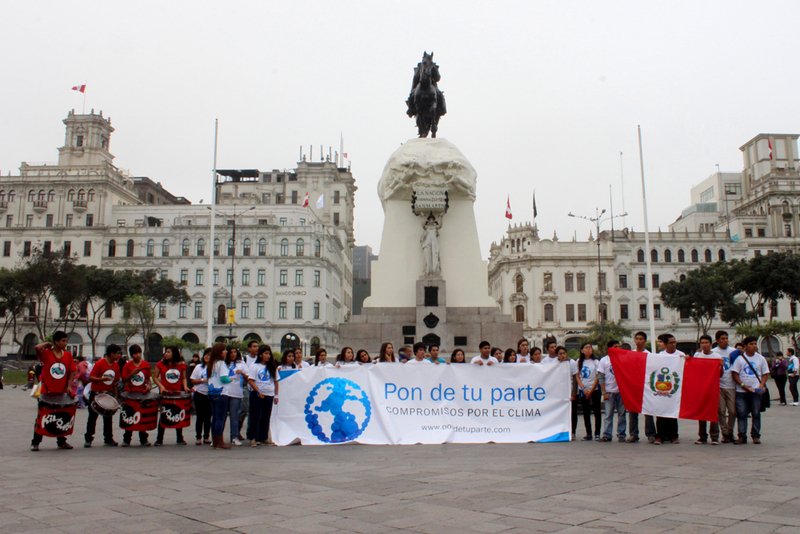 The tourism industry has a key role to play in confronting the challenges of climate change. There is now a clear understanding that the travel sector can be part of the solution to the global warming crisis, by reducing its green house gas emissions as well as by helping the communities where tourism represents a major economic source to prepare for and adapt to the changing climate. Mitigation in the tourism sector can be achieved by reducing energy use, through changing travel behavior, by improving energy efficiency, increasing the use of renewable energy, carbon offsetting strategies, as well as changes in business practices. In the aftermath of Typhoon Haiyan in the Philippines, not only the typhoon devastated Estancia, Iloilo but also second man-made disaster, an oil spill from a bunker fuel barge has wrought havoc to the town and its surrounding seas. 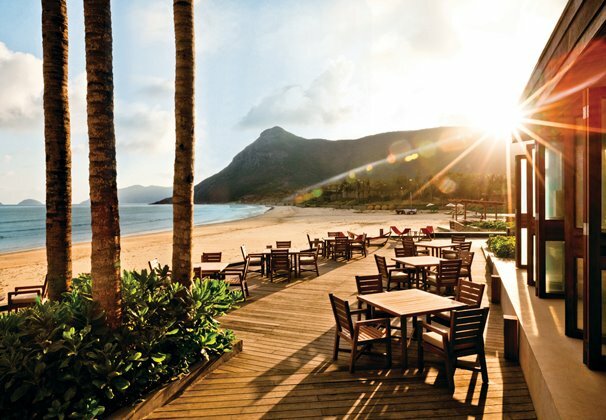 In this guest blog post, by Sam Marquit, of Fair Marquit Value, we show how the tourism industry, in particular the hospitality sector, can use renewable energy. Companies throughout the world are beginning to use renewable sources of energy. Renewable power, including wind and hydroelectric power, are set to rise by 40 percent over the following five years. Energy Department records already show that renewable energy accounted for 12 percent of United States electricity over the past year. Of this 12%, 5% came from wind and solar sources while 7% was taken from hydroelectric plants. It’s clear that renewable energy is here to stay as more companies embrace it. In this group, the travel industry stands out. Here’s a look at how renewable power is being used by the travel industry to lower operating costs and support a sustainable future. The solar energy industry is set to grow to $65 billion by 2016. Today, three-quarters of solar installations in the United States are less than two-and-a-half years old. Hotels of all sizes are quickly taking to this technology. One 16-room boutique hotel, which invested $80,000 in its solar panels, cut its energy bills by 60 percent, or $1,000 per month. Although solar power installations can take as long as a decade to pay for themselves, more hotels are choosing this option. Geothermal energy is ready to double in size as countries around the world embrace it. In Reno, Nevada, the Peppermill Resort Spa Casino heats itself with a geothermal aquifer located 4,400 beneath the surface of the desert. As much as 1,200 gallons per minute are heated this way, saving the company about $2 million each year compared it’s previous natural gas heating. For now, the Peppermill Resort Spa Casino is unique for its sole use of geothermal heating. 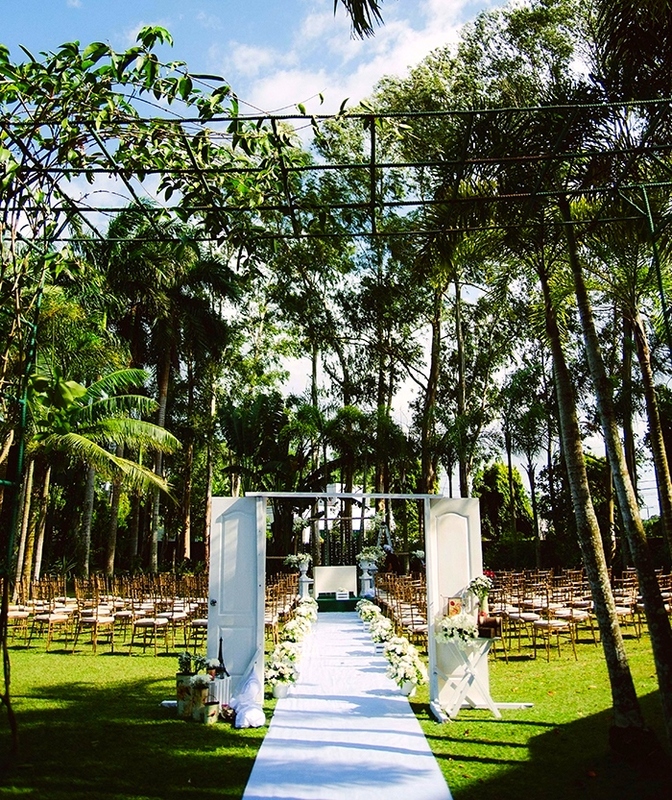 This area is certainly a hotbed of green innovation especially within the hotel industry. Hotels in the area are continuing to be built and all are green structures. Biodiesel is quickly becoming more popular, and the U.S. economy reaped about $4 billion from it in the past year. The Hilton Stockholm Slussen, in Sweden, turns its organic waste into biodiesel at a nearby plant. Increasingly, the biodiesel that results from this and similar projects in Sweden are powering the nation’s vehicles. 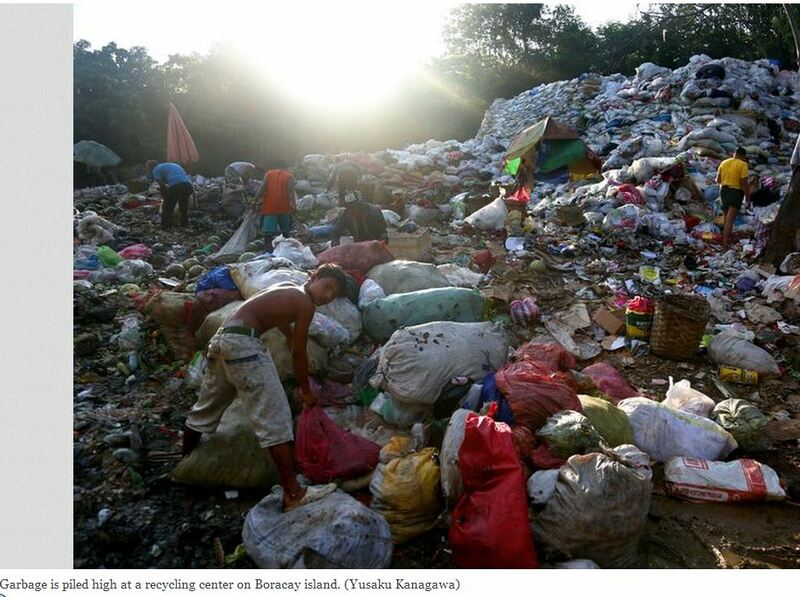 Waste management is an important issue at hotels, which are increasingly running programs to reuse linens and towels. Guests can choose to dry their towels and keep the same bed linens rather than getting new ones each day. To deal with waste from gardens and kitchens, the Taj Hotel’s Mahal Palace in India is sending waste to biogas plants and even offering facility tours to guests. Companies such as Warren Buffet’s MidAmerican Energy Company are building billions of dollars worth of wind farms. In Kansas, a hotel was destroyed by a tornado, but its owner rebuilt a greener version of the hotel with wind energy that covers half of its electricity bill each month. Renewable energy sources are becoming popular with consumers and companies around the globe. Hotels, which are major energy consumers, have taken a lead in embracing these new sources of energy. Along with saving money, renewable energy sources boost customer perception of hotels and support a healthier future for everyone. 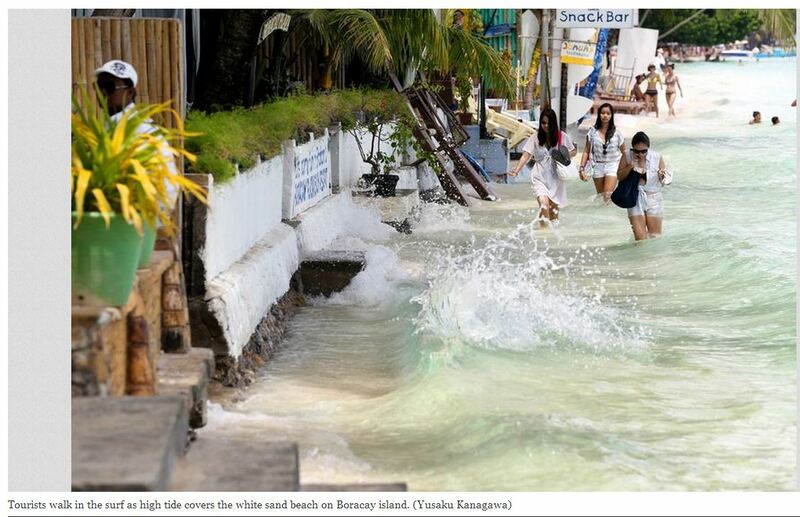 An excerpt from the UNEP Climate Change Adaptation and Mitigation in the Tourism Sector. Tourists are traveling more often and to more distant destinations, using more energy-intensive, fossil fuel-based transport and the sector’s greenhouse gas (GHG) contribution has increased to 5 percent of global emissions. 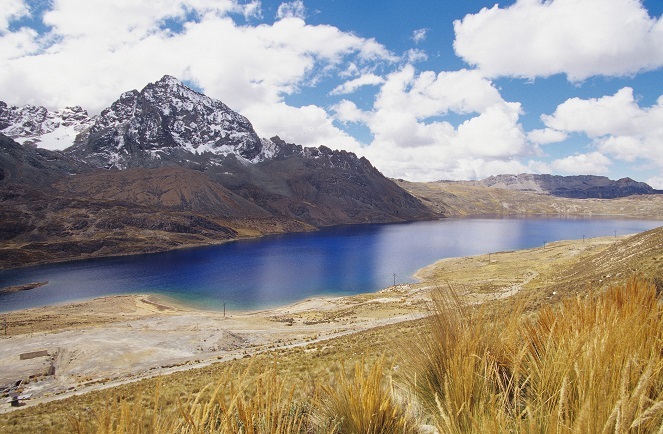 Other unsustainable practices, such as excessive water use, waste generation, and habitat encroachment are threatening ecosystems, biodiversity, and local culture. 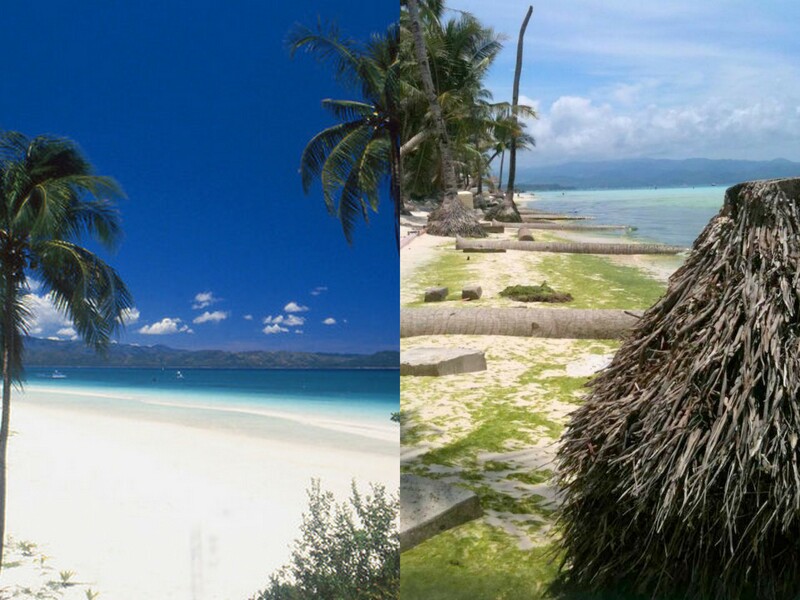 Boracay White Beach: Then and Now. But if done right, tourism can be a positive force for both the local economy and the environment. Sustainable Tourism aims to reduce poverty by creating local jobs and stimulating local business, while establishing ecologically sustainable practices that preserve resources and reduce pollution. Currently, only a minimal of tourism profits touches the people living in and near tourist destinations. 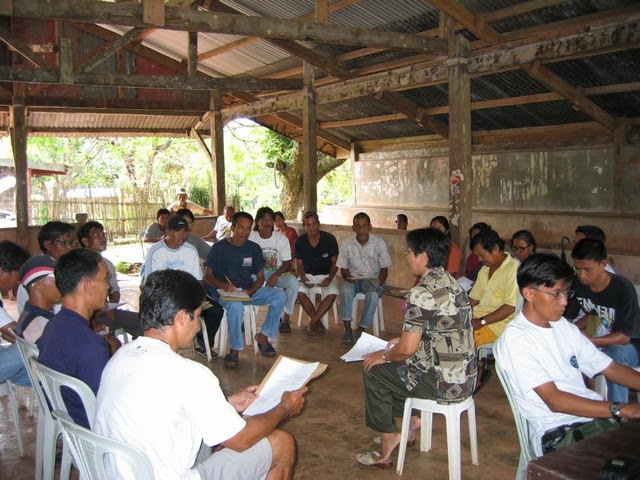 Increasing local involvement can not only generate income but also encourage communities to protect their environment. Investing in energy efficiency and waste management can reduce GHG emissions and pollution and also save hotel owners and service providers money. Under the right circumstances, natural areas, biodiversity, and cultural heritage—three of the main reasons people travel in the first place—can all reap the benefits of sustainable tourism. 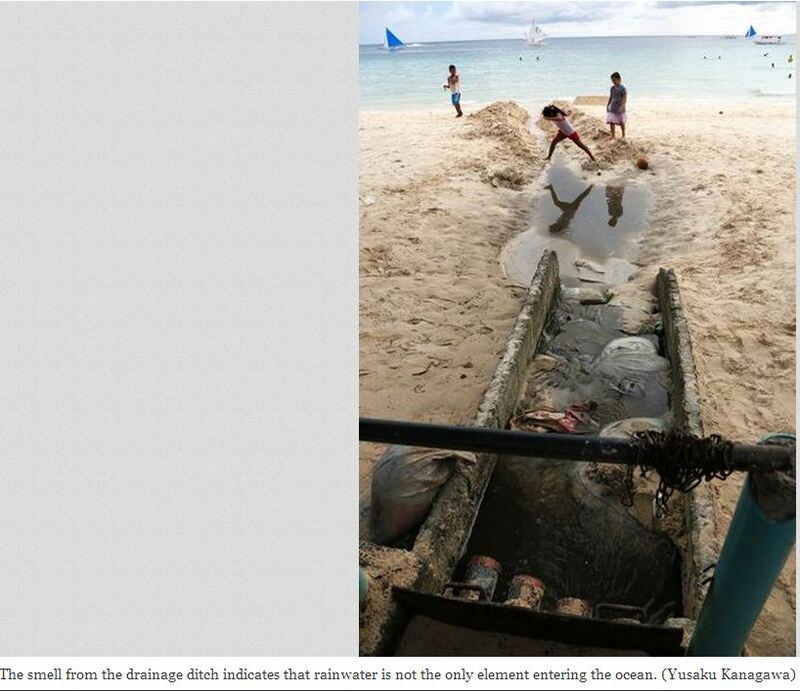 Boracay Island Drainage on White Beach. Photo Via The Asahi Shimbun. The sustainability of coastal tourism destinations depends partly on their ability to adapt planning and management practices to the impacts of climate change and also to increase their ability to reduce disaster risks. Climate Change Mitigation refers to efforts to reduce or prevent emission of greenhouse gases. Mitigation can mean using new technologies and renewable energies, making older equipment more energy efficient, or changing management practices or consumer behavior. Protecting natural carbon sinks like forests and oceans, or creating new sinks through silviculture or green agriculture are also elements of mitigation. Mitigation by the Tourism sector can be achieved by reducing energy use, through changing travel behavior, by improving energy efficiency, increasing the use of renewable energy, carbon offsetting strategies, sustainable destination planning and management, tour operators’ choice of destinations and packaging of travel products, as well as other changes in business practices. A number of studies present strategies available for increasing the effectiveness of mitigation activities in relation to tourism and climate change. 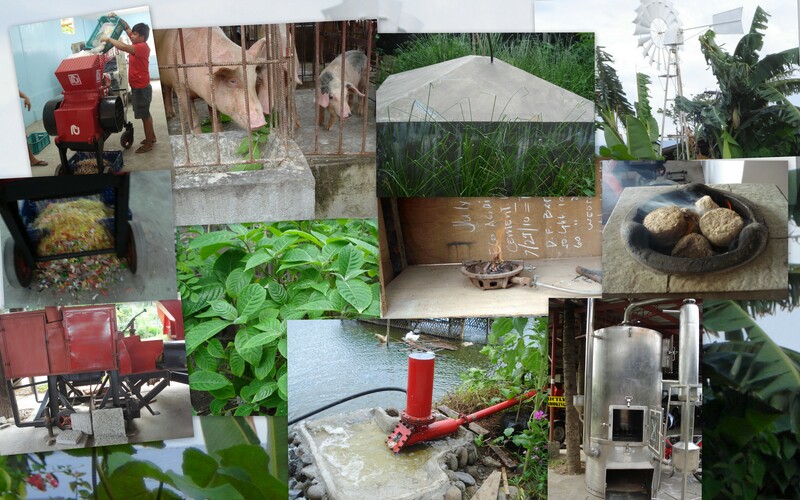 Best practices from case studies for different stakeholders and local context have been formed as a guide to mitigation tools, covering techniques, policies and measures in various scenarios. Various mitigation strategies in the transportation and accommodation sectors as well as for tour operators, consumers and destinations have long been available and should be implemented. The overall objective of climate change mitigation strategies, policies and activities in the tourism sector is to contribute to the achievement of “carbon neutrality” in the sector. For hospitality and tourism establishments, “carbon neutrality” can be defined as a set of policies that it uses when it estimates its known greenhouse gas emissions, takes measures to reduce them, and purchases carbon offsets to “neutralize” those emissions that remain. Carbon neutrality signifies an establishment that has a zero net contribution of greenhouse gases to the atmosphere. This includes all activities directly controlled by the company, including travel, purchasing of goods and services, and daily behavior of staff. Carbon neutrality can be achieved by improving the way the organization operates (e.g. 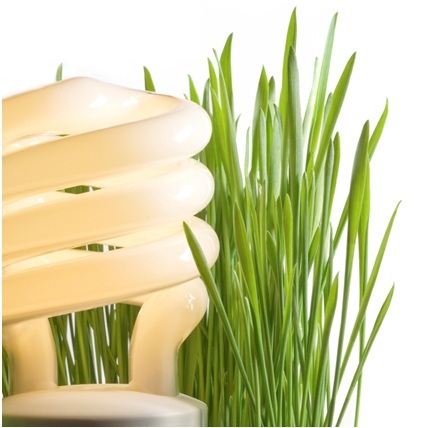 through “green” procurement), by improving efficiency of operations (e.g. communications and meetings) and equipment (e.g. vehicle transport and building). Carbon neutrality also recognizes offsetting as an option (last resort) to achieve full neutrality. 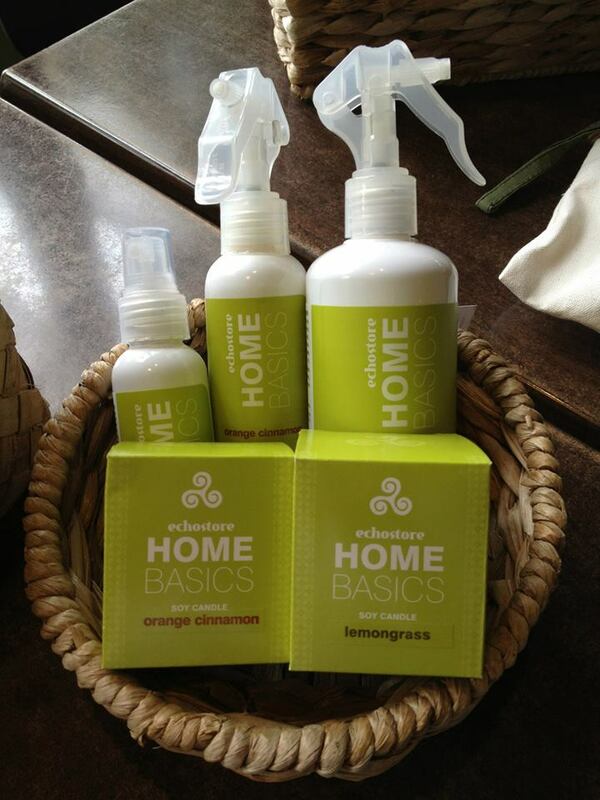 Eco Friendly, Sustainably Sourced, All local products by EchoStore. The Tourism Sector is composed of a wide range of businesses, from small, local operations that service a single local market to very large transport, hotel and tour operator companies that serve global markets across entire regions and which sell or facilitate millions or tens of millions of tour packages to foreign destinations each year. The industry provides tourists with products and services such as accommodation, transport, food and drink, attractions to visit, and souvenirs to purchase. It is clear that the industry shapes demand through its marketing strategies, but consumers (tourists) ultimately make the final choices. Recognizing that tourists have an important role in creating business interest in sustainable tourism products, the sector must consider mitigation options and should be increasingly proactive in addressing climate change. Our Society for Sustainable Tourism & Development Inc.-SSTDI offers Capacity Building and Educational programs for hotels, destinations – LGUs, host communities, private stakeholders and the grassroots and tour operators with Global Sustainable Tourism Council criteria. Training programs include Environmental Conservation, Good Governance, Climate Resilience, to address global challenges of the United Nations’ Millennium Development Goals: poverty alleviation, environmental sustainability and climate change. WASTE TO ENERGY solutions are now offered to LGUs for their ecological solidwaste management and renewable energy solutions. For more information and assistance, contact us.